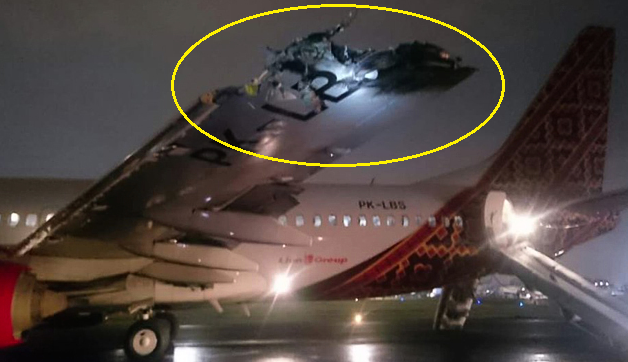 Both aircraft were seriously damaged in a runway collision at Jakarta-Halim Airport. The 737 struck the empty ATR-42 which was under tow crossing the active runway. Handling of two movements in the same area with different controllers on separate frequencies without proper coordination resulted in the lack of awareness to the controllers, pilots and towing car driver. The communication misunderstanding of the instruction to follow ID 7703 most likely contributed the towed aircraft enter the runway. 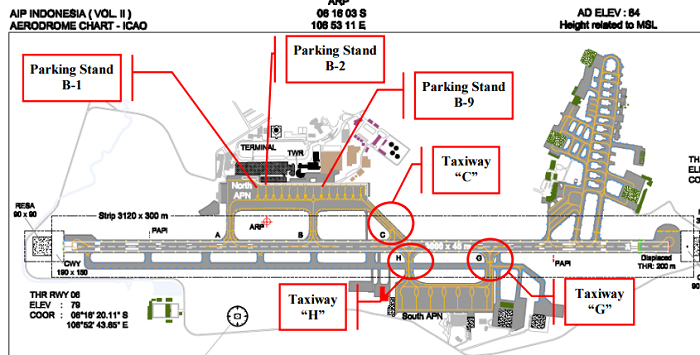 The lighting environments in the tower cab and turning pad area of runway 24 might have diminished the capability to the controllers and pilots to recognize the towed aircraft that was installed with insufficient lightings. 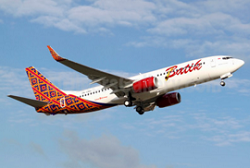 On 4 April 2016, Boeing 737-800 registration PK-LBS was being operated by Batik Air as scheduled passenger flight with flight number ID 7703 from Halim Perdanakusuma Airport (Halim) with intended destination Makassar. On board this flight were 56 persons consist of two pilots, five flight attendants and 49 passengers. An ATR 42-600 aircraft, registration PK-TNJ operated by TransNusa Aviation Mandiri was being towed from north to south apron. The towed aircraft was towed without aircraft electrical power fed to the system and neither of navigation light, strobe light and the aircraft radio communication was ON. 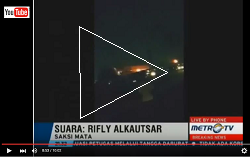 At the time of occurrence, the ID 7703 pilot communicated to Halim tower on frequency 118.6 MHz while the towed aircraft communicated using handheld radio on frequency 152.7 MHz. 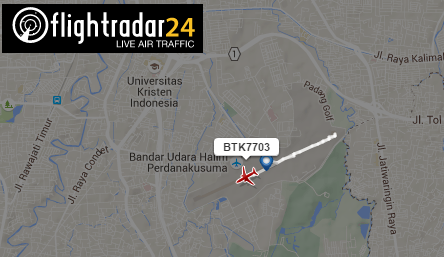 At 1245 UTC, ID 7703 pilot received pushback clearance from Halim tower controller. After ID 7703 pushed back, towing car driver requested clearance for towing and was instructed to follow ID 7703 and to report when on taxiway “C”. The Halim tower instructed towing car driver to expedite the tow and to follow ID 7703 several times. At 1256 UTC, ID 7703 pilot received takeoff clearance and initiated the takeoff. The towing car driver saw the ID 7703 was lining up prepared to takeoff, then speed up and turned the towing car to the right. 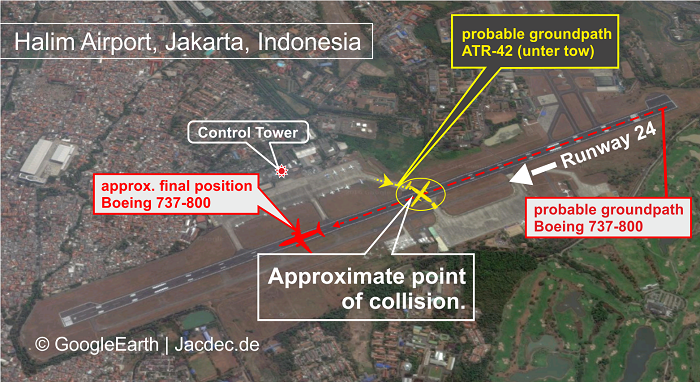 At 1257 UTC, the ID 7703 collided with the towed aircraft. 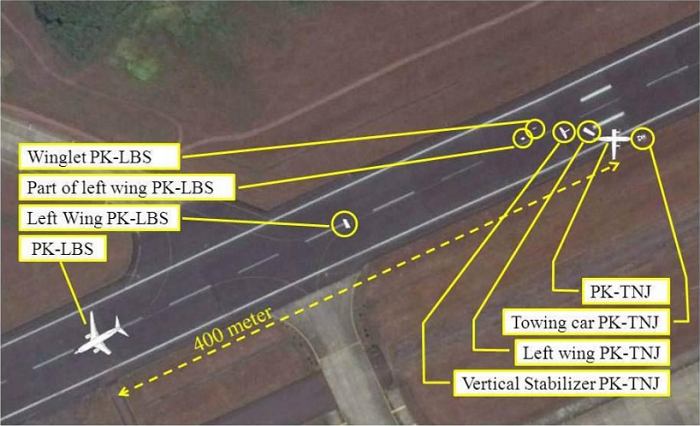 The ID 7703 pilot rejected the takeoff and stopped approximately 400 meter from the collision point while the towed aircraft stopped on the right of the runway 24 centerline. No one injured at this occurrence and both aircraft severely damaged. Following this occurrence, the Komite Nasional Keselamatan Transportasi (KNKT) issued safety recommendations to AirNav Indonesia District Office Halim Perdanakusuma, PT. Angkasa Pura II Branch Office Halim Perdanakusuma International Airport and Directorate General of Civil Aviation. The KNKT had been informed several safety actions and corrective actions taken by involve parties. The investigation is continuing and will include details of the following: – Relevant ATC and aerodrome issues including the lighting, communication frequency and workload. – Aircraft towing requirement and procedure. – Human factors issues. Should any further critical safety issues emerge during the course of the investigation, KNKT will immediately bring the issues to the attention of the relevant parties and publish as required. 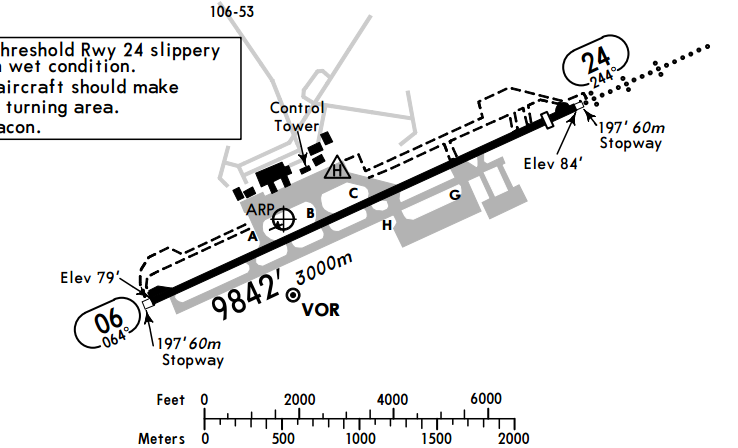 A major ground collision occured at Jakarta-Halim Airport when the Boeing 737 was within its take-off run from runway 24. 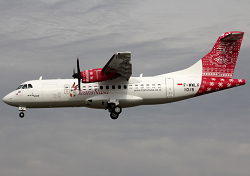 At a point about 1200 meters down the runway – below rotation speed – its left outer wing hit the tail of the smaller ATR-42 aircraft. The latter was under tow by a tug and about to cross the active runway ahead of the accelerating 737. 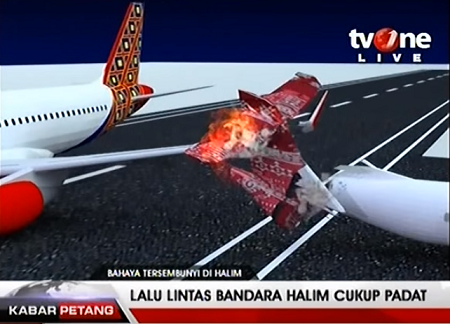 The force of the collision literally ripped the entire tail off and and the left wing of the ATR off. About 90% of tail and the left wing from the wingtip to the left engine were missing. 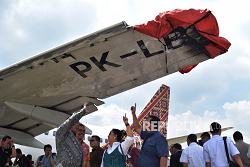 The fuel tank of the ATR was damaged and leaking fuel ingited resulting in a fire to both aircraft. However the 737 pilots managed to abort the take-off and came to a standstill about 500 meters past the „Charlie“ intersection. All on board the 737 were able to evacuate via slides. There were no reports about injured passengers or crewmembers. The airport fire service extinguished the flames within minutes. It is understood the ATR is damaged beyond repair. 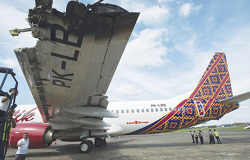 Damage to the Boeing 737 is substantial, also likely to be considered a hull loss. At the time of the accident, dusk sunlight conditions prevail and the runway visibility was limited to 5 kilometers in haze. 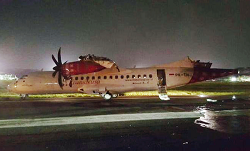 According to local media reports, the ATR was under tow proceeding from the main apron via taxiway „Charlie“ to the southern tarmac. The driver was listening to a different frequency and did not realize the other aircraft was cleared for take-off. The Ministry of Transport suspended the license of ground-handling company PT Jasa Angkasa Semesta (JAS). in addition threee ATC controllers have been suspended from active duty during the ongoing investigation.